Aba (China) (AFP) - By mid-morning, Lobsang's leather cowboy hat is askew, his black robes dishevelled, and his breath stinks of booze. Once a nomad herder roaming the high Tibetan plateau, instead he stumbles around his sparse new concrete house. For decades he and his wife grazed yaks and sheep, living a life little changed in centuries, until they acquiesced three years ago to government calls to give up their yak-hair tents for permanent housing. Now they live in a resettlement village, row after row of identical blue-roofed grey shells, an hour's drive from Aba in Sichuan province along winding mountain roads. Chinese authorities say urbanisation in Tibetan areas and elsewhere will increase industrialisation and economic development, offering former nomads higher living standards and better protecting the environment. Those who move receive an urban hukou -- China’s strictly controlled internal residence permits that determine access to social services. The government offers free or heavily subsidised houses, medical insurance, and free schooling. But critics say the drive has a one-size-fits-all approach and many former pastoralists have not prospered, despite its promises. Unlike the voluntary urbanisation of the early 2000s, when many adults maintained subsistence lifestyles while sending children and the elderly into towns, Andrew Fischer, of the International Institute of Social Studies at Erasmus University in Rotterdam, said: "The policy lock, stock and barrel shoves nomads into these resettlements thinking that is good for them. “But then that gives rise to a variety of related problems like unemployment, social problems, alcoholism, et cetera, which are typical hallmarks of rapid social dislocation,” he told AFP. At the resettlement facility, many relocated former herders complained to AFP they lacked work or training. 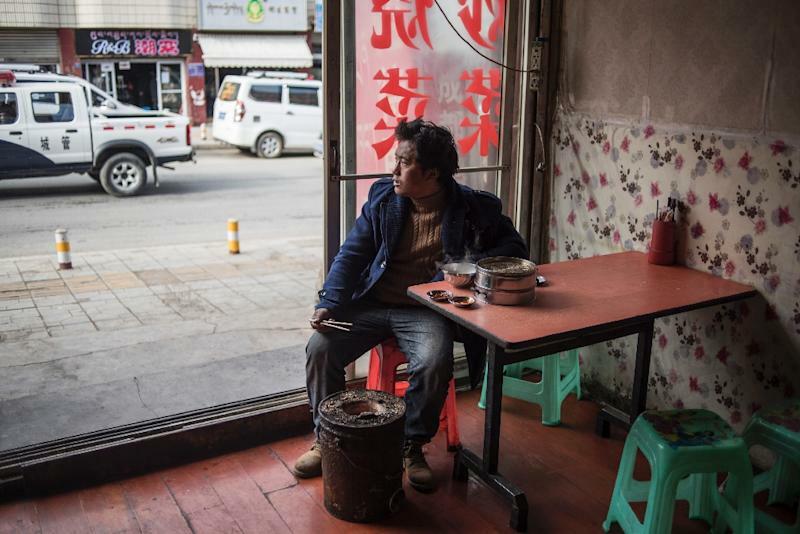 Dolkar, 42, sold his last 13 yaks for 85,000 yuan (now $13,000) two years ago, a decision he now regrets, and has yet to find stable employment. "I thought this was a lot of money, but I didn't realise things in the town would be so expensive,” he lamented. Now available urban jobs are low-wage, manual positions in construction or sanitation. But many nomads shun menial labour, having enjoyed wealthy status in the Tibetan community by virtue of their valuable livestock holdings. “Sending people to urban areas only helps if there are jobs there,” Fischer said. 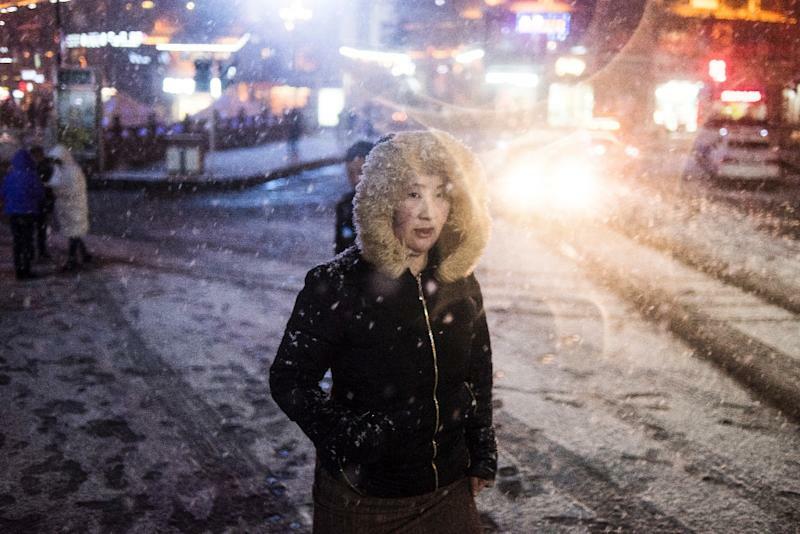 Critics say one goal of the urbanisation campaign is to give authorities more oversight over the people of Tibet, which has been ruled by Beijing since 1951. The resettlement village AFP visited is in what was Kham, the eastern part of pre-invasion Tibet, where Khampa warriors fought Communist forces, sometimes with CIA backing, until the late 1960s. Since 2000, government statistics show that urban residents have leaped by about 60 percent in the Tibet region itself, where officials launched a programme five years ago to establish Communist cadre teams in every locality. The region's top Party official, Chen Quanguo, has said each village should become a “fortress” to “guard against and combat the infiltration of Tibetan separatist forces”. Urbanisation efforts “concentrate people into areas where they are far easier to surveil and where they become more dependent on state subsidies to survive —- in other words, where they are easier to control”, Sophie Richardson, China director at Human Rights Watch, told AFP. Environmental experts also say that rather than protecting mountain pastures, the policy has damaged their ecology, allowing invasive weeds to proliferate and change the nature of the soil. "Not using these grasslands long term doesn't work," said Sun Jie, deputy director of the Grassland Research Institute at the Inner Mongolia Academy of Agricultural & Animal Husbandry Sciences. "It's always been natural for grasslands to be used for grazing, the plants and the soil need it for healthy growth," she added. "Otherwise poor quality foliage moves in and contributes to soil decline." Across China, urbanisation is a top economic priority, with Premier Li Keqiang calling it the country's "grand strategy for modernisation" at a 2014 policy meeting. 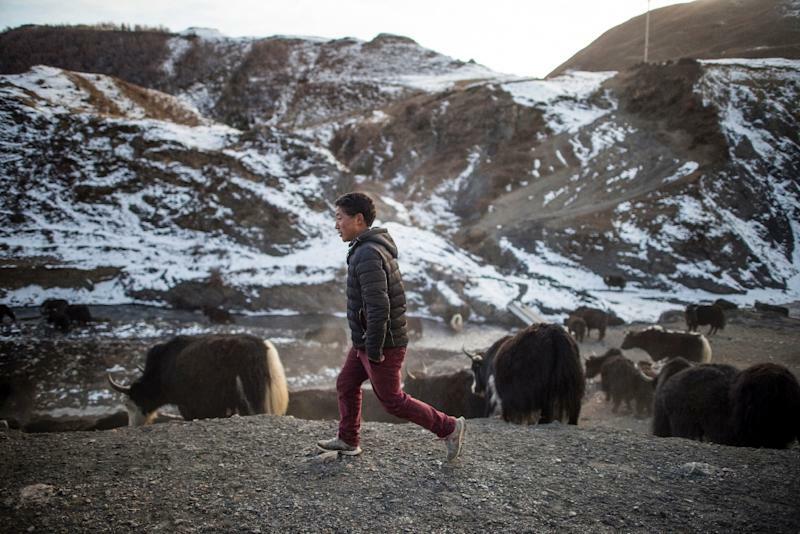 But benefits such as running water have come at the cost of Tibetan former nomads' sense of identity, with many complaining their sons and daughters are taught almost entirely in Mandarin. “My children will never know our history, they won’t understand our Tibetan traditions,” said Dorje, who moved into the resettlement camp six years ago and occasionally works odd jobs.